Unlike picture editors, whose every cut is projected on the big screen for everyone to see, we as sound editors work with the intangible. There is no right way to edit sound and if done properly, we can get away with a lot. Every project, scene or audio file can provide a unique set of challenges that we as editors have to contend with. “How should I remove that annoying hum? A parametric EQ, noise reduction or perhaps Izotope’s spectral repair?” As a sound editor, we each develop our own way of approaching and adapting to different problems. But to best understand the need for fluidity as an editor, it is important to understand the distinction between a sound editor and a mixer. Historically, the distinction was a lot clearer as mixing was done on a dubbing stage with a large analog console with outboard gear, making it almost impossible for the editor in an editing room to even think about adding EQ, reverb, etc. Mixing in a more modern context, on the other hand, can best be defined as “automation performed in a calibrated room.” With the advent of in-the-box mixing, this then creates a gray area between editor and mixer where some level of automation can be done by the editor and then carried over seamlessly to the dub stage. 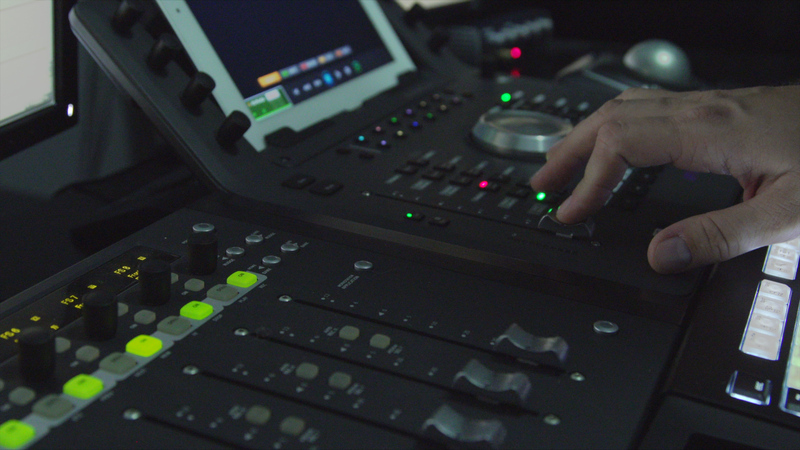 Especially with tighter budgets and the fast turnarounds that some project require, editors may be asked to do a bit of premixing to limit the amount of time needed on a costly dub stage. Understanding where this line falls between editing and mixing on any given project is an important first step when approaching a new project. With that being said, the best thing a freelance sound editor can do is get to know their mixer. Every mixer works differently. Your job as an editor is to know what your mixer wants and do your best to anticipate their needs. Find out how they work, what they like and what their pet peeves are. Not only will this make the post process run smoother, it will also make it more likely you get hired again. When working with a mixer for the first time, I generally try to schedule a meeting to get to know how they work and ask them a few questions. Below are some things to consider when getting to know your mixer. Find out if your mixer has a template they want you to use. This is the easiest way to make sure your mixer can open your project and hit the ground running. If the mixer does not provide a template, just make sure to label your tracks in a way that the mixer knows what goes where (e.g. DX or DIA for dialogue). Also, always keep a copy of the AAF/OMF tracks from editorial in case the mixer needs to reference these tracks during the mix. The next thing you will want to do is find out how your mixer likes their tracks organized when cutting dialogue. Do they like a dedicated track for each character or prioritized by scene (e.g. primary character on 1-2, secondary character on 3-4, etc.)? Find out if they want you to make mic selects and clear the rest of the tracks or leave everything intact, with the unused tracks muted in place. When cutting effects, find out if the mixer wants your tracks broken into audio “food groups,” or kept to a specific number of catch-all effect and background tracks. For a more in-depth look at setting up an effects sessions and how to create audio “food groups,” check out this great article from David Forshee and Pro Sound Effects on How to create Pro Tools session templates for sound effects editing. As a dialogue editor, you will often have to find alternate takes for various issues that arise in the production sound. If you cut in alternate takes, find out how your mixer wants them organized. Some mixers will want them mixed in with the rest of your dialogue while others may want the alts on their own tracks. In either scenario, make sure to keep the original take nearby in case the client wants to hear the original during the mix. Every person has a preference on how to transition between cuts. Some mixers prefer volume automation. Some like equal power fades while others prefer equal gain. One mixer I work with likes equal power on dialogue and equal gain for effects and music. When cutting backgrounds, some mixers want their editors to finesse the transitions while others want a quarter-frame overlap between scenes so they can make these decisions during the premix. Just ask if they have a preference. If they do, try to stick to it. If they don’t, do what sounds best to you. Clip Gain or Volume Automation? Some mixers expect their editors to do an automation pass on their tracks, finessing the levels using volume automation (either with a console or with a mouse). However, just as many prefer this to be left to the premix. If this is the case, you will generally just apply clip gain on a clip-by-clip basis and use crossfades between clips to smooth out the transitions. NOTE: When using clip gain as an editor, it is best to not adjust the clip gain within clips unless your mixer specifically asks you to do so. A lot of mixers don’t use the clip gain overview and will not see your work. This can be especially problematic when the mixer is automating thresholds for noise reduction, multi-band dynamics or EQ. As a general rule, EQ and noise reduction should be left for the mix stage. As an editor, it is natural to want to make our tracks sound as good as we possibly can. However, things like EQ and noise reduction for dialogue or effects are hard to gauge until you know how they will sit in a mix. If you feel the need to de-crackle a problematic dialogue file or want to add a time-based filter to a sound effect, it is best to “bake in” the effect using AudioSuite and make sure to keep an unprocessed version of the clip on the adjacent track below in case the mixer decides to go a different direction. That being said, on certain projects, especially with tight deadlines, your mixer may ask you to premix the dialogue. This means automating the volume and applying EQ, noise reduction and reverb. If this is the case, make sure you are using the mixer’s template as well as using the same plug-ins that they will have on the mix stage. Also, when you start venturing into the process of premixing, it becomes much more important to work in a calibrated and treated room. If possible, check your work in the room where the mix will happen before turning it over to the mixer. Especially when working with a mixer for the first time, ask if you can sit in while the mixer goes through your work. I find it particularly helpful to see how a mixer processes what I have done and can start to make mental notes on how they are working. It is best not to ask questions while they are working, but it is good to be on hand in case they have any questions about how something is cut or why something sounds a certain way. However, this won’t always be an option. If I can’t sit in with the mixer, I will generally check in with them after the mix to see if they have any notes for me. This kind of feedback can be invaluable both towards your growth as an editor and future opportunities with that mixer. If you can better adapt to make a mixer’s job easier, you greatly increase the chance of getting hired again by that mixer or referred for another job. Korey Pereira is a freelance sound editor and mixer based in Austin, Texas. He is an active member of the Motion Picture Sound Editors (M.P.S.E.) and a Lecturer at the University of Texas at Austin.